We had a fantastic time at this month’s Visualize YOUR World event in London with Qlik. We also arguably had the best stand at the event thanks to the fantastic Gary Palmer and ForbiddenPlanet.com, who provided an excellent array of displays and giveaways that would excite any sci-fi fan. From real-life lightsabers to huge Wonder Woman graphics, the collateral from ForbiddenPlanet.com definitely put our stand on the map! We also had a lightsaber to give away, but not just any lightsaber (as if there is such a thing) but Luke Skywalker’s very own lightsaber… does it get any better than that? Gary helped attendees understand the power of Qlik and the bespoke service Ometis provides, with compelling examples of how ForbiddenPlanet.com have utilised the platform to revolutionise the way they do business – and as their IT Director, he should know. There were plenty of questions during Gary’s lunchtime session, although this may have been down to the fact that visitors had to be holding a lightsaber to ask a question… We had everything from serious queries to ‘What’s your favourite colour?’ as people vied for the chance to swing a saber, and who can blame them? All-in-all, it was an entertaining day packed with data-driven opportunities and was a fantastic opportunity to showcase the work we do, as well as how good we are at doing it (even if I do say so myself!). Now we’re looking forward to Visualize YOUR World in 2018, we’ve already been thinking hard about how we’re going to top this year’s display but if ForbiddenPlanet.com are involved once again, I’m sure it won’t be too difficult. It’s official, Ometis are heading to this year’s IP Expo, Europe’s leading enterprise event, at Excel London from 4 – 5 October. We’ll be joining more than 300 exhibitors as the must-attend IT event of the year for CIOs, heads of IT and insight leaders. IP Expo is a platform for exclusive content and senior-level discussion topics, and we’re happy to announce we’ll be joined by Qlik to host a seminar session. The annual event is an important part of the Ometis calendar and incorporates expert opinion and knowledge around analytics and IoT, key factors in the understanding and capturing of business data. We’ll see you inside the Analytics area on stand KK17, make sure you pop by. We’ve also organised a special appearance by Qlik Director of Retail & Services Market Development, Paul Winsor, who’ll be hosting a seminar session on discovering the value in IoT Data. It is estimated there will be over 20x connected devices per person on the planet by 2020, and anything from 50-200 billion IoT devices. That’s a lot of data being generated from IoT ecosystems. The challenge will be making all that data accessible and understandable to start extracting value from it all. Paul will explain how Qlik are making this happen at 2.40pm on Thursday 4th October inside the Analytics Theatre. While we’re there, we’ll be taking the opportunity to discuss Qlik’s various products and complementary platforms that ensure you get the most from your software. These include Narratives for Qlik and NodeGraph and we’ll have a number of pre-set demos that showcase the power of Qlik, with true data visualisation at the touch of a button. If you’re heading to this year’s IP Expo in London, come and say hello – we’ll have a few goodies to give away and plenty of charm and wit to make your visit worth it. Don’t despair if you’re not attending this year’s event either, we’ll keep you up-to-date over the official Ometis social channels, so get following! We’ll also have a complete IP Expo review to follow so you won’t feel too left out. The long-awaited subscription model for Qlik Sense was announced in July and offers a more flexible way for businesses to utilise the ground-breaking platform. As an elite Qlik partner, we’re delighted Qlik have introduced this subscription model. It’s only for Qlik Sense at the moment but will provide a greater reach for the invaluable services the Qlik platform provides. I know some of our existing Qlik customers and members of the Qlik community have been eagerly awaiting this subscription pricing. The new model works in the same way as a perpetual license and can be deployed either in the cloud or on-premise. Pricing is staggered based on the number of users and there are some subtle differences to the perpetual licenses, which we’d be happy to discuss. Please get in touch with the team at Ometis to find out more about subscription pricing. It’s an important scheme as the subscription model will help companies by reducing barriers to entry, enabling more businesses to utilise the innovative and efficient Qlik Sense platform. The model’s flexibility to easily and cost-effectively increase or decrease subscribers will be a huge draw to new businesses eager to unlock the information their business data holds. Not only does the new subscription price include maintenance, which entitles users to the latest versions of the Qlik Sense software, it will also free up budgets in Year One to deploy more services and ensure a successful implementation. The subscription model may only be available for Qlik Sense at the moment but we hope to see services such as NPrinting and GeoAnalytics have some type of subscription service later in 2017 or early 2018. Qlik Sense users still have the option to buy perpetual licenses as well and we do not expect to see this taken away. If you would like to know about the Qlik Sense services under the new subscription model, please get in touch with us by calling +44 (0)330 363 9900, or emailing me direct at andy.patrick@ometis.co.uk . Alternatively you can click here and filling out the contact form. For those of you who follow Qlik closely, you’ll have noticed that the Qlik Sense June 2017 (or 17.06) Technical Preview has been released. This is the first in the new release naming convention and cadence – now five times per year. Having seen it demonstrated at Qonnections, we were excited to get our hands on it. So as soon as it came out I installed the Desktop version to start familiarising ourselves with the new features. The data I decided to use was the electricity generated by the solar panels on my home roof which is logged at 15-minute increments. Here you can see that Qlik Sense has recommended the selected field should be a measure and shown a histogram of the frequency of values in that field – including the min, median, average and max statistics. Qlik Sense has also suggested that, since this has numerical values they could be put into buckets. All of this can be customised, but Qlik Sense makes some good guesses. In this screenshot, you can see what analysis – range and uniqueness – and options – the split tool – Qlik Sense presents when you select a dimension field. The split tool allows you to break a dimension field down, which is common for things like date/time fields, phone numbers or composite keys in source data. Here you can see that I have the choice to replace values in the DayofWeek field – perhaps I want to group my Sat & Sun into one value called “Weekend” – I can do that here. I can null values if I want to ignore those in a chart for some reason – here I’ve done that with some errors from the source data. And here’s how you set custom sort orders – drag & drop interface for setting the default sort order. Please note that not every combination of these tools works with every other one – for instance you can do Order & Split together but not Nullify/Replace with Order. With all this in the data manager, what’s going on in the Data Load Editor? The script that Data Manager generates is all there and viewable – locked by default. Histogram – you just select a numerical field and it shows you the frequency distribution of values. You can customise the buckets (number or size of them), but that’s about it – so there will be scenarios where you want to use the buckets in the data load and a bar chart to achieve histogram-like charts with more flexibility. In this case I chose to use the percentiles preset, setting the whisker lines at the 1st and 99th percentiles with the box ends at the 1st and 3rd quartiles and the line being the median. The dots are the “outliers” – there tends to be at least one each month as I only have 14 months of data in there so there are only up to 62 days for analysis, so they’re effectively the minimum and maximums within the months. Distribution Plot – a simpler, less statistical, chart that, similarly to the box plot takes a dimension or two and a measure. Here we can see each day’s generation plotted in its month, visualising the minimum, maximum and range of each month. Enhancing the “Colour by dimension” functionality, here we can see that I’ve set custom colours for the months, inspired by someone with synaesthesia who sees the months as these colours. For example, this could be useful in your sales performance app – setting a consistent colour for each salesperson to be used across the app. iOS app including offline support – we’ve got this installed and are starting to test it now. Advanced Analytics, including R integration. Qlik have just published the details of setting this up – we’ve got it running but want to work with it a little more before sharing our thoughts. Platform component updates – in this blog we’re been looking at the end-user experience, but the removal of the requirement for a single “central node” certainly looks interesting and a good step forward for resilience. The Enterprise Mobility compatibility (MobileIron, AirWatch & Blackberry) will certainly appeal to some of our more security-and-mobility focussed customers too. This is a really exciting release of Qlik Sense – great new features across the board serving the end users, power users, enterprises, IT administrators and more. We can’t wait to get our hands on the other features we’ve not been able to test yet and the final release when it comes out. Most people should now wait until the final release to get these features and then look to upgrade at that point. However, if you’re a Qlik customer and keen to get hands on, you can also join the Technical Preview that will run until 26 June. To do this, just visit the community page and register. Health warning: this isn’t recommended for anything approaching a Production environment and it may stop working altogether after the 26 June deadline and/or you may have to uninstall it completely before being able to upgrade to the final release when that comes out. What’s New – a good summary of the new features, although lacking in a little detail so some can be hard to find! Also note that it’s listing some items that aren’t actually new in this release of Qlik Sense – like new Web Connectors and Qlik Sense Cloud features. Advanced Analytics video – first half of this shows some of the things the R integration will be able to do. My previous blog talked about our successes in 2016. Now I’d like to focus on all that’s still to come in 2017. If you have any questions about the topics listed here, please feel free to contact me for more information. At the end of 2016, we were evaluating third party add-ons for Qlik to enhance the out-of-the-box geospatial/mapping functionality. We concluded that the product from Idevio in Sweden was the best available, so it was great news in January to hear that Idevio had been acquired by Qlik! The product has been renamed Qlik GeoAnalytics and is available to purchase via the Qlik pricelist, so now is the perfect time to talk to us about how it could enhance your location-based decision-making. Since we became a Qlik partner, we have always attended Qonnections, Qlik’s annual Partner & Customer summit. 2017 is no different and we’ll be taking a full team over to the US next month. We’re looking forward to getting a glimpse of the new features Qlik are developing and bringing you all the latest information. You can stay up-to-date with all that’s going on at the summit via our social media channels, so if you’re not already following us, now is a great time to do so! Follow us on Twitter! We’re exhibiting at Big Data Analytics on 22nd June. It’s the UK’s premier cross-industry event, showcasing the latest big data insights and innovations. We’re hosting the Birmingham leg of this year’s Qlik Sense Tour event on 5th July at The Belfry resort. Come along to find out all about the Qlik Platform and how it can help your organisation. Register your place. We’ll also be at IP EXPO Europe, 4-5th October – Europe’s number one enterprise IT event. We’ll be hosting regular webinars to showcase all that Qlik can offer. Roundtable events – the next one is on insurance on 11th May. Register here. See all of our upcoming events here. We’ve got some exciting partnerships to introduce you to. Firstly, we’ve teamed up with the guys at NodeGraph to offer our customers greater insights into the data lineage in their Qlik implementations. Available for both QlikView and Qlik Sense installations, NodeGraph provides a clear way to assess where the data in your applications has been extracted from and where it’s in use. It also provides automated documentation to support your development teams. Another fantastic partnership for 2017 is IN4BI. We now offer IN4BI’s Platform Manager for Qlik solution, which gives development teams increased control when developing and publishing Qlik applications. This is especially powerful if you have multiple environments (e.g. Dev, Test, UAT, Prod) as it helps users to manage deployment processes, rollbacks and changes across each server efficiently. We’ll be adding more information to our website in due course, but please get in touch if you’d like to find out more about either of these new offerings. We’re committed to keeping you in the loop with all things Ometis, Qlik and data analytics related. Make sure you check out our blogs each month on a variety of relevant topics, follow us on social for news, tips and insights plus subscribe to our newsletter to be the first to know about the latest Qlik offerings. As well as expecting some great new functionality in Qlik Sense 4.0 this June, I was pleased to read the updated ‘Statement of Direction’ from Qlik about where they see their product development resources being focussed over the next couple of years. It’s fantastic to see the level of continued commitment to innovate from the product team at Qlik. As expected, Qlik Sense and the Qlik Analytics Platform remain the key areas for investment in 2017 and beyond. This is turning out to be another exciting year for Ometis. We’re very proud to be the UK’s largest, dedicated Qlik Partner and we’ll continue to grow our team of experts throughout the year to make sure we can continue to deliver the highest quality Qlik solutions available. If you have any questions relating to the topics covered above, or would like to speak to one of our team about how we can support your adoption of Qlik solutions, then please get in touch. We’d love to hear from you! Call us on +44 (0)330 363 9900 or email info@ometis.co.uk. For those who don’t already know, Qlik NPrinting is a content distribution tool for the Qlik Platform. It enables the distribution of static reports in various widely-used formats such as Word, PowerPoint and HTML. NPrinting 17 (NP17) is the result of the project code-named “Opera” – which was started before Qlik acquired Vizubi and finally came to fruition early in 2016. It’s fair to say the first two releases (17.0 and 17.1) weren’t quite ready for primetime, but 17.2 is a great step forward in reliability as well as functionality. 17.0 was the first release in the series – introducing web-based management of reports, schedules and related items. In version 16 and before this had all been done through a Windows application. 17.1 introduced initial compatibility with Qlik Sense (QS). Previously it was a QlikView-only product and it became known as “Qlik NPrinting” not “QlikView NPrinting” at this point. 17.2 was mostly a stability and performance release, but did also re-introduce the On-Demand functionality for QlikView (QV). I’ve worked with NPrinting since 2012 (when it was Excel-only and being developed by Vizubi) and I have the honour of being the first ever certified NPrinting developer! I’ve been using 17.2 for the last couple of months and, combined with my experiences around earlier releases, here is my considered opinion. now Qlik NPrinting Product Manager. NPrinting 17 is a massive step forwards in terms of enterprise architecture – adding web-based management and report consumption, multi-user capabilities including permissions management. It keeps the familiar flexible structure of previous releases with Connections, Tasks, Reports, Filters and so on. The new NPrinting 17 web interface. NPrinting NewsStand – here users can see which reports they have access to and can subscribe to have them generated and/or sent to them on a schedule of their choosing. Qlik Sense Hub – you can push NPrinting reports into the Qlik Sense Hub so users have one place to go to consume all of their Qlik information. (Note: QlikView Publisher can do this now too – heading towards what Qlik are calling the “Unified Hub”.) The process for getting this up and running isn’t exactly slick, but once done, it’s a useful additional delivery mechanism. The Qlik Unified Hub – Qlik Sense, NPrinting & QlikView. “Qlik Sense compatibility” is more true for this release than it was for 17.1 (where you’d often have reports fail if based on QS), but it still doesn’t come with all the functionality of the QlikView side of the tool. The Select Objects dialog has improved with 17.2, now showing the IDs that you can (if no other way than via the dev hub single configurator) trace back to objects in the Qlik Sense app – which may be useful if you haven’t or can’t set a Name. One of the main limitations remains – that you don’t get to see previews of the Qlik Sense objects when you drop them into your template. Instead you just get a generic icon which can make designing your reports quite tricky. Example PowerPoint report with Qlik Sense objects embedded. Previewing of Qlik Sense objects in reports. As identified above, this is probably the most limiting factor right now. Embedding reports into HTML emails. This was one of my favourite things in NPrinting 16 – embed the actual chart / KPI etc. in an email so the end user doesn’t even have to open an attachment! Unfortunately, whilst the help says this is possible, it’s not (yet). Importing recipients from somewhere other than an Excel file. We have made extensive use of the ability to import from a QlikView object. There are workarounds to this but we’d love to see this re-introduced in NP17 for QV and QS. Simplifying the process for adding reports to the Qlik Sense Hub and integration with the Qlik Sense QMC for user management and so on. If you’re a current NPrinting 16 user and you only have QlikView in your estate, then you might be better off sticking with NPrinting 16 for the time being. The main reason I can see to consider upgrading here would be if you need a multi-node environment to cope with the sheer volume of reports you distribute or to make use of the NewsStand feature. If you’ve got a mixture of QlikView and Qlik Sense then I think that NP17 is worth a shot now it’s stabilised. Definitely check the features you need and trial it before making a decision on which version to use. In a purely Qlik Sense environment, you’ve not got a choice – I’d just say be cautious about what you promise to deliver in tight timeframes as there is a learning curve as well as more improvements to come down the line. Again, trial it in your environment to see if it works for you. For more information on NPrinting, please visit our product page where you can request a demo to find out how it can enhance your Qlik experience. We also have an NPrinting training session coming up on 23rd February 2017 – call us on 0330 363 9900. The number one topic for organisations still using QlikView should be the migration to Qlik Sense. In my opinion, guided analytics (QlikView) have become outdated. Self-service analytics (Qlik Sense) are what is relevant now: analytics that put data at the fingertips of the user. Gone are the days of waiting on the IT department to produce reports: rapid development, using intuitive user-friendly interfaces, is here. Switching to a self-service analytics tool such as Qlik Sense removes the bottleneck from IT, empowers the user and, in turn, the business. Establishing greater insights by having the freedom to visualise data differently, whilst still in a governed environment, is now the reality. Why do it any other way? Like QlikView, Qlik Sense is an in-memory application, so you will need a dedicated server/s. The servers will likely need to be a similar specification to your existing QlikView solution. The absolute minimum specification will require a Windows server with a 1gb HHD, 8gb RAM and Multi-core x64 compatible processors. The full system requirements can be found here. Please note, this is not the universal recommended specification as it varies depending on the size of the user base, data volumes etc. Contact us to find out more. Scripting in Qlik Sense is no different to QlikView, therefore all code is transferable. Having said that, it’s not just a copy & paste exercise: you will need to re-establish the data connections and replace the connection strings in the script with the new ‘lib’ statements. Alternatively, for a quick win, you could use a binary load. The bulk of redevelopment comes in the front end where you will need to recreate the visualisations. You will be surprised how fast this is achieved, thanks to the simplicity of Qlik Sense and how quick it is to create dashboards with the improved drag & drop/ click & select capability. Having come from a QlikView background myself, initially I found the snap-to-grid system annoying. I soon realised, however, that it was a blessing in disguise! It was after redeveloping an application in Qlik Sense (which I’d previously built in QlikView), that I realised the change really was for the better. Security in Qlik Sense is a little different but also a lot more flexible. In Qlik Sense you have the Hub (this is Sense’s version of the QlikView Access Point.) This is also the highest level of security – is the user authorised to access your Sense solution and do they have a licence? Within the Hub you will discover ‘streams’ which mimics selecting a ‘category’ in Qlik View (essentially a collection of applications.) You would typically create a stream for a particular group of users – a user should have access to one or more streams. You can also apply security on an app, field and row level. Section access is still available in Qlik Sense but it works somewhat differently. For users to accept change they need to be made at ease with it. How do we make a user comfortable with a new tool? We train them! 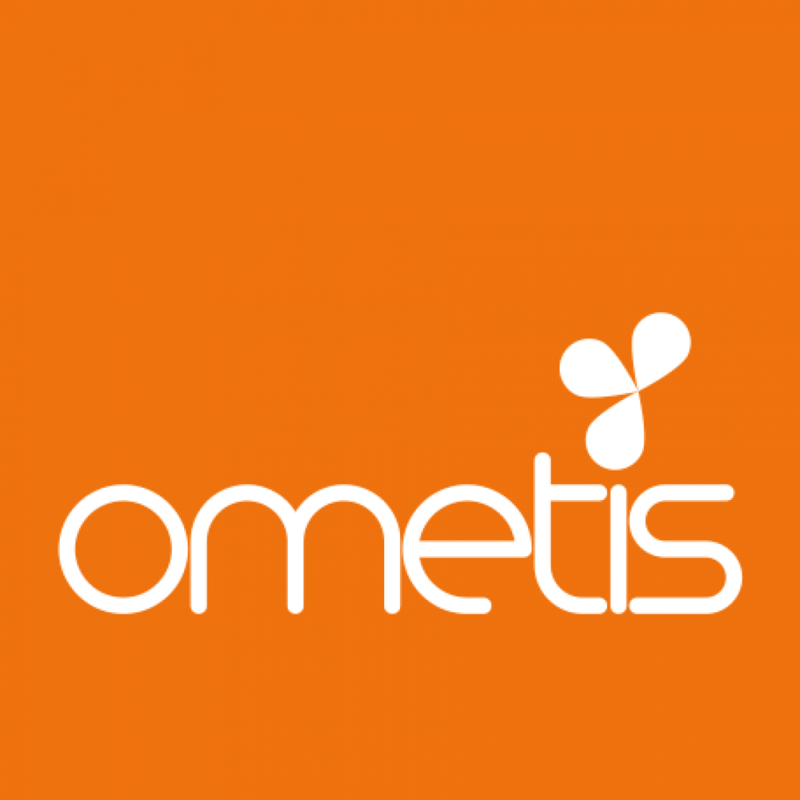 At Ometis, we provide a range of training courses which can be tailored to suit anyone. This varies from an hour long introduction to analysing data in Qlik Sense through to a three day course designed to turn individuals into Qlik developers or system administrators. Our flexibility can match your needs and current skill set. Once you have a list of what needs to be done, we can move onto the how and when. Take a moment to think about how you would implement a migration plan. Do you ‘rip the band aid off’ and leave the office on Friday as a QlikView user to return Monday with Qlik Sense, or do you run the two tools in parallel and drip feed users onto Qlik Sense over a period of time? As long as the end result is the same – does it matter? I think it does. It’s not just changing from one BI tool to another, it’s doing so in a manner which is accepted by the majority of the stakeholders, seamless for business-as-usual operations and beneficial to all users. In my next blog, I’ll be discussing four approaches to Qlik Sense migration and weighing up the pros and cons of each, so be sure to check back.